The Presidential Initiative on Continuous Audit has found discrepancies in the payroll of the Federal Government’s Ministries, Agencies and Departments to the tune of N5.7 billion monthly. The Head of the Continuous Audit Team, Mr Mohammed Dikwa, made this known in an interview with newsmen on Friday in Kano on the sideline of the two-day National Revenue Retreat, organised by the Ministry of Finance. He said that the amount was the true state of their findings as at June 30, 2016, and as a result the federal government had been saved from paying that amount monthly. President Buhari had early this year set up the Continuous Audit Team to look into the finance of Federal Government’s Ministries, Departments and Agencies. This is meant to address issue of ghost workers, over payment of allowances, fraud and embezzlement in MDAs. “The Continuous Audit Team plans to conduct regular checks on the control and risk assessment of MDAs. We look at the records that are being kept to ensure transparency and accountability of the financial transactions carried over time. “In terms of ghost workers, we have found about 43,000 ghost workers so far and as at May 30, we had N4.2 billion that is saved on a monthly basis. “But as at June, 30, we were able to make more recoveries of N2.2 billion which has led to an additional savings of N6.4 billion monthly,” he said. Dikwa said that more savings would be made when the team succeeds in capturing all the Federal Govenment’s MDA into the Integrated Payroll and Personnel Information System (IPPIS). “The IPPIS platform is only having 20 per cent of the MDAs of the Federal Government on board. This means that about 80 per cent of MDAs are still outside the IPPIS platform. “And it is important that they are all captured because our system of approach in conducting the continuous audit is automated. “We get those on the IPPIS platform and match them with their Bank Verification Numbers and see who is collecting two salaries at the same time. “We also check if there is any money being paid into individual accounts that is way above what he or she should be getting as allowances and salaries,” he said. Dikwa said the team had a long way to go as it had only covered 20 percent of its workload. He said that all suspected cases of ghost workers and other acts were being forwarded to the Economic and Financial Crimes Commission to ensure recoveries. Dikwa said also that the team had succeeded in reducing the personnel cost of the federal government from N150 billion monthly in January, to N142 billion per month as at June 2016. “This drastic reduction in personnel cost will continue as the Continuous Audit Team maintains its continuous visitations to all MDAs. 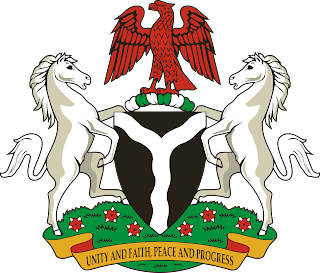 “It is expected that by Dec 31, over N100 billion will be reduced from the budgeted personnel cost of the 2016 year.